If you haven't signed up for Thrillist newsletters, you really should - they're quite informative and many a weekend activity (and a handful of blog entries) have come from them. So it only makes sense for me (and hopefully ya'll as well) to vote for them in the latest round of Silicon Alley Awards. Thrillist is up for the "Best Buzz" category. I just cast my vote for them and as of now, they're currently in the lead (with 26.5%). Let's keep it that way. Click (here) to go and vote for them! 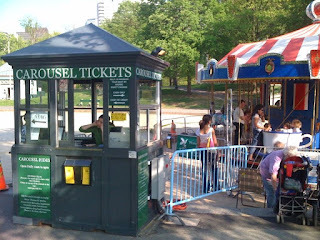 Click (here) to visit Thrillist. PS. Shout out to my friend, Flavie. Good Luck! Thanks to Bloggery Reader Natalie for the reminder. 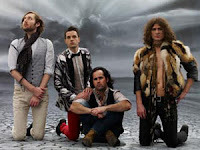 The Killers are coming back to town and tickets for their concert in September go on sale tomorrow at 10am EDT. In the past 4 years, I've only missed 1 Killers performance. And I missed it because tickets sold out in seconds, it was ridiculous. 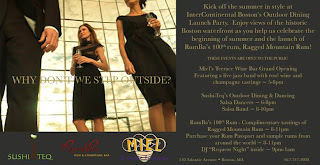 Kick off the summer in style at InterContinental Boston’s Outdoor Dining Launch Party. Enjoy views of the historic Boston waterfront as you help us celebrate the beginning of summer and the launch ofRumBa’s 100th rum, Ragged Mountain Rum! I think I pretty much own 75% of all the men's grooming products from Kiehl's. It's great stuff. One thing I havent' really had to use is the shaving cream - as an Asian guy, I don't have much facial hair - but if it's as good as their other products this promotion is worth checking out. This summer, in celebration of our male customers and to lead up to Father’s Day, Kiehl’s is honored to launch Kiehl’s First Annual Shave Swap! For 10 days, May 29 through June 7, men are invited to trade in their shaving cream (at least a 4 oz.-size, please!) for one of our best-selling Ultimate Brushless Shave Cream formulas—a full 5 oz. tube! Each customer will also be asked to participate in a 5-minute personal consultation with a Kiehl’s Customer Representative, after which he will receive three samples of the Kiehl’s products best suited to his personal skin or hair needs. I actually have a tube of the brushless shave cream, I just haven't tried it out yet because my little electric razor pretty much does the trick for me at this point. It's probably a blessing, but sometimes I do wish I could grow a goatee or something. The forecast shows rain for the rest of the week until Saturday. Thank goodness, because Saturday is the day that Earthfest 2009 is taking place. It's a free concert at the Hatch Shell and there's a great lineup of performers. Just a reminder that the Radio 92.9 EarthFest will take place at the DCR Memorial Hatch Shell on Saturday May 30th from noon to 5 p.m. The free festival features musical performances at the main stage including Soul Asylum, the Lemonheads, Shawn Mullins and Seven Mary Three. The family area Kids’ Planet, beginning at 10 a.m., will present activities and musical acts from Michael & Marissa, Sara Wheeler & Little Grove, The Bravo Brothers and Zumix. There will also be environmental exhibits from non-profit organization showcasing environmentally-friendly products, activities and initiatives. It's been years since I've heard that Seven Mary Three song "Cumbersome." That was a great song. Soul Asylum will be awesome as well. Good lord, it's already Thursday? Somewhere along the way I missed out on Wednesday, but that's ok - that just means the weekend is closer than I thought. Coming up this afternoon - sometime during your lunch break - is a chance to get some free McDonald's coffee at the South Station location. Take time to relax this Thursday, May 28 with McDonald’s new McCafé espresso-based beverages. Stop by South Station between 11:30 a.m. and 2:30 p.m. to try a free sample Iced Latte, a blend of milk and freshly ground espresso beans over ice, or sample an Iced Mocha, topped with whipped cream and a drizzle of chocolate. The event also features a live jazz performance by the Rusty Scott Trio and free chair massages by Best of Boston 2008 winner Moore Massage. Click (here) for more info on the McCafe. 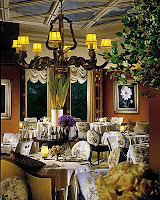 Aujourd'hui is being converted to a private function room. Not sure what Great Bay is being turned into, and Icarus is being sold by owner Chris Douglass. I ate at Excelsior once during restaurant week last year and also Icarus once several years ago (I had a squab breast stuffed with foie gras that was amazing). As many folks have speculated, could this be an end to the $$$ restaurants in Boston? I'm sure we'll still have plenty of pricey restaurants around, but it looks as though we have have a new set of slighly more affordable restaurants spring up. Is Aujourd'hui worth checking out before it closes? 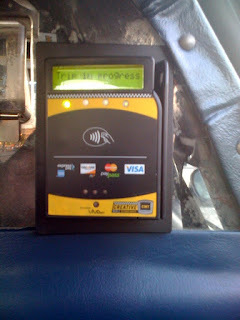 So I was in Chicago this past Memorial Day weekend for a miniature reunion of sorts and on my way back from Logan last night I sat in a cab that had the credit card swiping machine installed in the back. 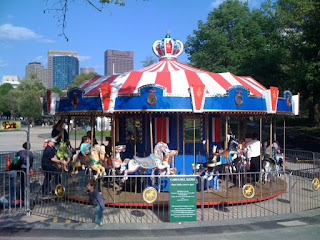 This is the first one I've been in while in Boston (been in plenty in NYC). Per my previous post (here) it appears that CMT has done their first wave of installs. 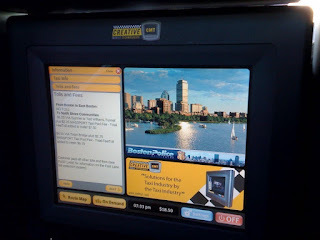 There's two parts, the first part is a touchscreen in the middle of the wall that displays some information for you - for now its just pictures of boston and info about fares and such. And off to the right is the credit card swiping machine. Here's the downside. I'm not sure if the cab driver was lying to me or not, but at the end of the ride, I asked if I could pay by credit card and he said the system isn't actually up and running yet so I had to pay cash. So here's my question, has anyone ridden in one of these cabs yet and successfully paid by credit card? Walked by it a few weeks ago and snapped a few shots but totally forgot to upload them. 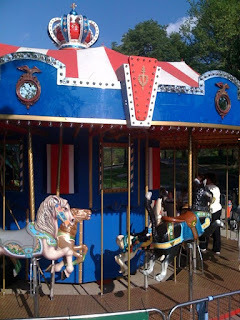 Here's a few pics of the new carousel located by Frog Pond. I've been waiting for this for a while! Finally The Surrogates trailer is out and it looks pretty awesome. All sorts of recognizable scenes from the Boston area. As you recall, the did TONS of filming around town (here) since April of last year. We've had lots of romantic comedies and what not - Bride Wars, The Women, The Proposal, Ghosts of Girlfriends Past - I've been waiting for an action flick. This one in particular. I think Mel Gibson's "Edge of Darkness" will be good too, but The Surrogates looks great! For those that haven't explored the new layout of the website yet, at the bottom of the homepage - in the middle - there are 3 tabs in blue. The middle one is entitled "Filmings" and has a list of past posts on all the movies filmed in the area. Click (here) to goto youtube for the trailer. Hurray for four day work weeks. Coming up this Saturday 5/30 is a casting call for the upcoming movie The Fighter - the Christian Bale & Mark Wahlberg movie about Mickey Ward (here). Time to brush up on the 'ol right hook. As usual, direct any questions you have to Boston Casting - not me. Unfortunately, I won't have any answers for you. Boston Casting, the state's largest casting company, is holding an open call audition for the new feature film THE FIGHTER starring Mark Wahlberg, on Saturday, May 30, 2009 from 10 am - 4 pm at the VFW Hall, 190 Plain Street, Lowell, MA. The audition is open to everyone 18 years and older. No kids for this audition. Everyone MUST BRING a headshot and resume or a current photo and bio to the audition. The audition is open to union and non-union actors. Click (here) to goto the Boston Casting site. I hope everyone had a good Memorial Day weekend. I had a nice weekend in Chicago with a bunch of college friends. Good times. Anyway, here's the winner of the drawing for the winner of the two free hours of service courtesy of Lisa's Hands of Time (here). The winner is: Faye N.
Congratulations! I hope it allows you to free up your schedule a bit and enjoy some of the warm weather. I'm so far removed from the fashion world. I had no idea about the Matthew Williamson (who is he?) launch at H&M a couple weeks back and know even less about Jason Hoffman's upcoming visit to Boston, but I figure some of you might know and be interested in checking it out. Just in time to share his tips and ideas for summer makeup, shu uemura Principal Makeup Artist Jason Hoffman will be making a personal appearance on Friday, May 29, at the shu uemura boutique on Newbury St.
Jason will be accompanied by members of shu uemura’s international artistry team, Rieko Ishizawa and Park Hae Jung, and will offer consultations, summer makeup tips and techniques, and demonstrate and preview shu uemura’s latest products, Painting Gel Liner, the Eternal Gold Collection, and Tokyo Lash Bar 2009, Lashes in Nature for consumers. WHERE: shu uemura - 130 Newbury St.
My only encounter was several years ago, before the Newbury St. store opened. I spent way too much money on shu uemura lip gloss as a gift and had to then hand carry it back from Hong Kong. Two weeks later, the Newbury St. store opened and I was kicking myself. So I started doing P90X about a month ago. I hurt my left foot doing the "plyometrics" workout but I just started up again last week. The reason I mention this is because one of the workouts is yoga. 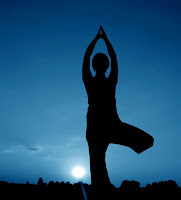 And starting 5/30 - the Hotel Intercontinental is offering free sunrise yoga! SPA InterContinental, will be hosting a complimentary one-hour ‘Sunrise Yoga’ class on the waterfront lawn of the InterContinental Boston overlooking Boston’s glistening Fort Point Channel. 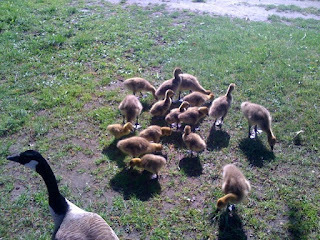 This outdoor class will be open to the public and will be led by rotating instructors from Boston’s Yoga Power Studio. All skill levels are welcome. Mats and blocks (combined) will be available for a rental fee. Guests are welcome to bring their own mats and blocks. Reservations are not required. SPA InterContinental Boston can be reached at 617.217.5090. Thanks to Bloggery Reader Janice for the heads up on this. Coming up on Saturday 5/30 is the 2nd annual Revere Kite Festival. I'm going to let you guys in on a little secret. I've never actually flown a kite before. I remember giving it a try once when I was really young - but i just ended up running back and forth in the park carrying the kite. Never really figured out how to get it to go into the air. Click (here) for more event info. The newest Dunkin Donuts donut will be named on June 5th and the winner is going to receive $12K. That's pretty awesome, $12,ooo for inventing a new donut? I wish I'd known about the contest, I'm sure I could come up with something. Over 130K entries were made and DD has now narrowed it down to twelve finalists. The dozen finalists include “A Nutter One,” a chocolate butter kreme-filled donut with peanut butter icing; “The King,” a bananas foster-filled donut with peanut butter icing and chopped peanuts; and the “Tour de France,” a chocolate cake stick with hazelnut kreme glaze. No word on how many calories the proposed donuts contain. The winner, who will be selected June 5, or “National Donut Day,” will win $12,000. 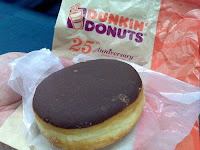 When my sister came to visit a few months ago, the first thing she wanted after leaving the airport was a chocolate donut from Dunkin Donuts. Apparently they don't have any DD's in San Francisco. I don't know how many years it's been since I've had a donut. That being said, I will try one of these new winners when it comes out. It's that time of year again, the time that we all wait for. Summer in Boston! And coming up on Tuesday 5/26 is the opening of the only rooftop pool in Boston - located at the Colonnade Hotel. It’s been a long winter -- what better way to usher in the days of summer than relaxing poolside 12 stories above Boston’s historic Back Bay neighborhood at the city’s only hotel roof top pool? The Colonnade Hotel invites guests and neighbors to do just that when the hotel’s Roof Top Pool opens for the 2009 season on Tuesday, May 26. The Roof Top Pool is open daily from 8:00 am to 8:00 pm for hotel guests until Labor Day. Bostonians, too, can gain access every Monday through Friday for a nominal fee of $30. The pool’s lofty perch makes it an ideal setting for private parties, summer outings and corporate receptions. Yes, I agree with you, $30 is a little steep to just get access to a pool, especially when it's only on weekdays that we normal folk can gain access. 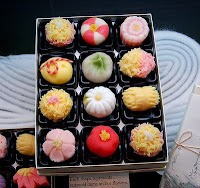 But I view this as one of those occasional "high-class indulgence" type things that you can partake in once in a while. I haven't checked it out yet and most likely won't - mostly because after a winter of hibernation, no one wants to see me with my shirt off in public. Click (here) for more info on the pool. Coming up next Tuesday (5/26) is a charity event for the Science Club for Girls. Please join Science Club for Girls on Tuesday May 26th at the Broad Institute in Kendall Square at 5:30 p.m. to honor Dr. Larisa Schelkin, Founder and President of the DOME Foundation and SWE's National Multicultural Committee Chair; and Dean Evelynn Hammond of Harvard College for their systemic and personal efforts to provide access and increase diversity in STEM. Science Club for Girls increases the self confidence and science literacy of youth from groups that are underrepresented in the sciences, by providing free programs with a focus on hands-on learning, mentorship, and leadership opportunities. There's also an online charity auction going on right now with some great items up for bid including: Red Sox tickets, gift certificates, and luncheon meetings with some area mentors. Click (here) to visit the auction. Click (here) to visit the SCFG website. Tiny Hyde Park restaurant serves authentic West African fare, from pounded yam with stew to bone-in chicken and fried plantains. I was basically just in the mood to try something different. I'd been to Addis Red Sea (which is Ethiopian) many years ago but wasn't impressed. I haven't had African food since then and figured it was time to try it again. Sadly, The African Cuisine isn't open on Mondays, so we were unable to go. It's on the back burner. 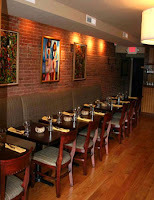 But then I received a recent email from Thrillist (here) about another African restaurant (this one Senegalese) that opened up recently in the South End called Teranga. The brainchild of a Senegalese banker turned restaurateur, Teranga (meaning “Hospitality”) dishes traditional French-influenced Senegalese fare. Teranga's a little bit more T accessible, so hopefully I'll be able to swing by there sometime soon and try it out. The restaurant deals just keep coming and coming. The latest to join the mix is STIX with their $1 Raw Bar deal. It just started last week 5/13. Somehow the press release didn't make it's way into my inbox so luckily Reader Michelle was kind enough to resend it. On Wednesday, May 13, 2009 STIX Restaurant & Lounge will launch a new $1 Raw Bar and $5 Frozen Myerss Mojitos, available Tuesdays through Saturdays from 5-7pm at the bar and on the patio. The Raw Bar will feature the freshest selections of seafood, including local favorites such as freshly shucked oysters on the half shell, king crab legs, scallops, shrimp, and jumbo crab claws, all for only $1 each. I haven't even had a chance to check out the deals at 33 yet from last month (here). But now that the weather is starting to warm up, I will be sure to make my way over there. 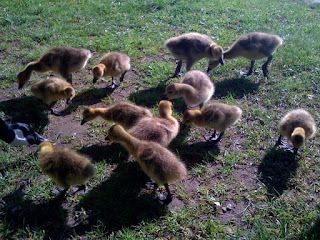 Click (here) to visit STIX's site. The first time I walked into the Johnny Cupcakes on Newbury (right when it opened) I was expecting cupcakes. Well, this weekend marks 3 years of other people (probably) walking into that storefront looking for pastries. 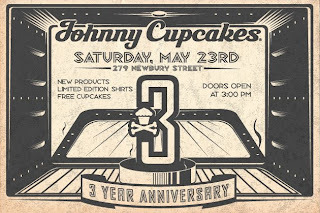 Well this upcoming Saturday, 5/23 - there will be cupcakes in celebration of their 3 Year Anniversary. According to the flyer: New products, Limited Edition Shirts, and Free Cupcakes await. Click (here) to goto the Johnny Cupcakes site. My friend Cali from back home once got me Tila's phone number many years ago (Tila's originally from Houston) before she changed her last name to "Tequila." Sadly, she lost the scrap of paper with the number on it before she had the chance to send it to me. Or maybe she was just yanking my chain the whole time. Anyway, Tila's going to be nearby for two different parties - both at Ed Kane's places. If I was in town this weekend, I'd consider going to one of the events to see if I could catch a glimpse of Tila in person. But I'll be in Chicago. Oh well. Doh, I should have gotten this one up yesterday, but I ended up passing out on my couch too early to get my blogging done for the day. But coming up tonight is a pretty neat series of performances by the winners of the Fidelity Investments® FutureStage competition. AnJalique Perry (Dorchester), a 17 year-old soprano from Roland Hayes School of Music will be performing Miss Celie’s Blues from the movie The Color Purple. Chris Middleton (Dorchester), a 17 year-old pianist & vocalist from Boston Latin School will perform his own pop ballad, Can’t be Gone Long. The Underground Trio from Boston Arts Academy. They’ll be performing Windows by Chick Corea. Grieg Quartet from Boston Latin School. They’ll be performing Edvard Grieg’s String Quartet No. 1 in G Minor. I'm sure there's still time to get tickets if you're interested in tonight's performance. Click (here) for more info on the winners. Many thanks to Chris who left the notice on my cbox (SEE there are benefits to visiting my website and not just reading it via email & RSS) for informing me that there's a Katy Perry pre-sale coming up today at 10am EDT - otherwise I would have missed it. But here's the details. I actually skipped out on her concert at the House of Blues earlier this month. I was trying to cut down on my concert going (due to the recession) so I skipped hers as well as Lady Gaga's. Now I'm kind of regretting skipping Lady Gaga. But, Katy Perry would be a decent consolation. 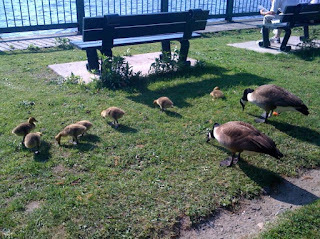 A few flock of geese that I saw on the Esplanade while on a jog. Looks like yesterday was a big day in the insurance world. According to a couple of articles I read this morning, Geico is finally here like they promised (here) and apparently Allstate is on the way. GEICO started selling auto insurance to residents of the state of Massachusetts on Monday. Employees of GEICO started giving quotes online. The company said its first customer was Beth Opishinski of Whitman, Mass. Congrats to Ms. Opishinski. Hopefully you're saving some significant cash. As will the rest of us. Allstate Insurance Co., the nation's second-largest auto insurer, announced Monday it has filed paperwork with the Division of Insurance to return to Massachusetts after a long absence. Well here's to hopes that increased competition leads to increased savings. Cause if they really do increase sales tax, we're going to need whatever we can get. Click (here) for the Allstate one. Are you living a life that's too busy for you're own good? One option is to cut down on activities, the other would be to enlist in the help of a service like Lisa's Hands of Time. 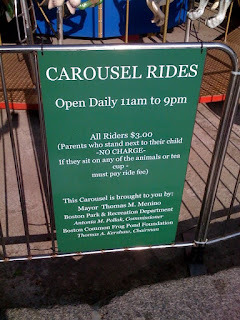 Lisa's Hands of Time has been around for the last 8 years, "servicing all neighborhoods of Boston, Cambridge, Brookline, Newton, Needham, Wellesley, Weston, Chesnut Hill, Dover, Sudbury etc." I took a peek at the services that they offer and it's pretty much anything you could possibly need help with. Lisa herself shot me an email recently offering to give away two hours of her company's services away to one lucky reader. There you have it folks, another contest. 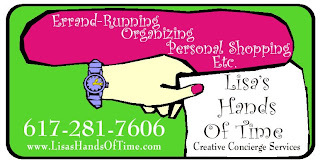 Send me an email with "Lisa's Hands of Time" in the subject heading and your name in the body and I'll enter you in a drawing for two free hours of personal concierge service. List of services can be found (here). Contest ends on Friday 5/22 at 10pm EDT. Thanks to all the folks that entered last week's contest (here) for a pair of tickets to the St. Vincent concert on Tuesday. Congratulations to Bloggery Reader Rachel for winning the drawing. St. Vincent is multi-instrumentalist/singer/composer Annie Clark, a native of Tulsa, Oklahoma and a graduate of Berklee College of Music, who took the music world by storm in 2007 with her debut album Marry Me. If you're still interested in picking up tickets, you can get them from Ticketmaster (here). Still haven't visited the House of Blues yet? Well, they've just added another reason for you to go check it out. Starting this Sunday (5/17) they're re-launching their World Famous Gospel Brunch. House of Blues Gospel Brunch began in 1992 at the original House of Blues in Cambridge, MA. This one-of-a-kind live music and dining event features gospel performances from local and regional artists as well as acclaimed gospel musicians. Paired with a mouth-watering all-you-can-eat southern style buffet, House of Blues Gospel Brunch is not to be missed. The menu for Gospel Brunch at the House of Blues has been designed by Tindaro Losurdo, executive chef of House of Blues Boston. This sumptuous buffet will feature the best of Southern Delta cuisine, including biscuits and gravy, chicken jambalaya, waffle and omelets stations, fried chicken, blackened catfish, cheese grits, eggs, sausage and bacon, carving stations, salads, assorted muffins, bread pudding, cobbler and much more. I think I drooled a little when I typed up that last bit up there with the menu. I'm fairly certain I could eat my money's worth in just cheese grits and bread pudding. All they need to add to the menu is fried okra and I'll be there every week. 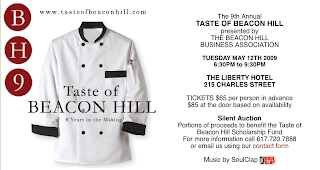 Click (here) to get tickets for the 5/17 event. Lots of big ticket movies out lately: Wolverine, Star Trek, etc. And because of that it's easy to miss some of the smaller films that don't have zillions of dollars in the advertising budget. Coming up today (5/15) is the premiere of an independent film called "Management" starring Jennifer Aniston, Woody Harrelson, and Steve Zahn. Lucky for me, one of the theaters its premiering in is AMC Boston Common so I'm thinking I'll check it out sometime after this weekend. Unfortunately, I'm out of town so I'm going to miss the premiere tonight. Here's the list of theaters that will be showing Management. Click (here) for a link to the movie's FB page. Click (here) for the trailer on youtube. Too little too late. If I had known about this earlier, I would have tried to book a ticket on Megabus to check out these new doubledecker buses that they're unveiling. Sounds exciting. I'll just have to settle for my current default: Bolt Bus. Starting today, the company plans to switch all its buses on the route to double-deckers - 13 in all. They're not your typical open-air tour buses packed with sightseers. They seat 81 passengers - 25 more than a regular coach - and they're loaded with amenities that include Wi-Fi access, electronic outlets, and TVs. Some of the newer buses traveling to and from Boston will also have a 51-inch-wide glass ceiling. ...the double-deckers will operate out of Back Bay Station. The 13-foot-1-inch buses drop off passengers at Penn Station in New York. One of these days, I'll have to give it a shot. The last time I was on a double decker bus was a year or so ago when I was in Hong Kong. I'm not much of a KISS fan, but I will not let Boston lose out to other cities in the US. 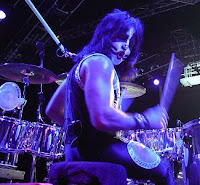 Therefore for the sake of the KISS fans out there, I encourage all of you to help vote to bring their tour to Boston. The hottest band in the world, KISS, will tour this fall, and they want YOU, the KISS ARMY to choose which cities they'll play! In the first-ever fan-routed tour, KISS will take votes straight from the KISS ARMY! The entire 2009 tour will be determined by the cities with the most votes. Watch the tour unfold in real time as voting continues and city rankings are updated! I'm submitting my vote right now, you should do the same. Jazz guitarist John Pizzarelli will be performing with the Pops tomorrow and Wednesday nights. Also, acclaimed cellist Maya Beiser will join the Pops and perform the world premiere of a suite by James Newton Howard, based on his film score of M. Night Shyamalan’s movie The Village and the Boston premiere of Exodus. Both of these should be very erie and interesting in Symphony Hall. Also, she's going to perform an electric cello solo of Led Zepplin's Kashmir. I have a special place in my heart for cellists. I went to opening night last week and heard Tony Rymer (winner of the 2009 Sphinx Competition) play and realized I apparently was never any good at the cello. I thought I was, but I was wrong. Anyway, I digress - Maya Beiser's performance will probably be amazing. Click (here) for more info or to get tix. Karmaloop shot me an email yesterday with a link to a behind the scenes video of the Wale & Lady Gaga video shoot. It looks awesome, check it out below. Nas, T.I., Three 6 Mafia... Chris Robinson has directed videos for hip hop's greatest as well as the film A.T.L. KarmaloopTV talks to him on the set of Wale & Lady Gaga's video shoot. If you'd like to see a couple of pics from the shoot, you can check out one of my previous posts (here). Click (here) if there's issues with the embedded video. Interesting problem that I have, lots of stuff to giveaway, and not enough time to hold the contests. This one's got a time constraint since the concert is on 5/19 so I'll post this one first, but stay tuned because I may post another one before the week is out. This contest will be for a pair of tickets to the St. Vincent concert coming up next Tuesday 5/19. St. Vincent is multi-instrumentalist/singer/composer Annie Clark, a native of Tulsa, Oklahoma and a graduate of Berklee College of Music, who took the music world by storm in 2007 with her debut album Marry Me. She is touring in support of her much-anticipated follow-up, Actor, due out on May 5 on 4AD. Actor was co-produced by Clark and John Congleton (Modest Mouse, Polyphonic Spree) and features 11 new songs, all written and arranged by Clark. The beguiling, sophisticated new record exhibits an even greater ambition than her debut album, with more masterful arrangements, grander songwriting, and performances ever more confident and inspired. 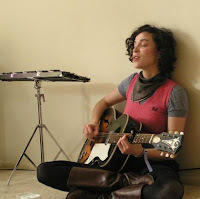 Clark developed an idiosyncratic writing process for Actor, immersing herself in some of her favorite films—Badlands, Pierrot le Fou, The Wizard of Oz, Stardust Memories, Sleeping Beauty—and beginning each song as a secret film score, then slowly giving it independence as its structure and lyrics came fully into focus. The resulting eleven tracks are as cinematic as can be, but the movie is a private one, revealing its storyline in hushed, cunning couplets and cascades of scathing guitar. Send me an email with "St. Vincent" in the subject heading and I'll put your name in a drawing for a pair of tickets to the concert being held at the Somerville Theatre on 5/19. Contest ends this Friday, 5/15 at 10pm EDT. I will admit, I've never heard her music. But I'm very interested to hear it. Maybe I'll see you at the show. Click (here) if you'd rather not chance it and would like to pick up tix to the show. So a little more info on one of the movies that Christian Bale and Mark Wahlberg are doing together - The Fighter (here). As you may recall the other one that they're doing is called "The Prisoners" (here). Christian Bale as Lowell legend Dicky Eklund? So says Variety. The Dark Knight has signed on to costar with Mark Wahlberg in "The Fighter," the story of local boxing champ Micky Ward and Ward's half-brother, Eklund, who trained him. Wahlberg and "Fighter" producer Dorothy Aufiero, who supervised production on "Good Will Hunting," have been trying to get a green light for the movie for years. Brad Pitt was originally cast as Eklund, but yesterday Variety announced Bale's involvement and reported that David O. Russell, who worked with Wahlberg on "Three Kings" and "I Heart Huckabees," had signed on to direct. Originally, "Wrestler" director Darren Aronofsky was supposed to helm the project. Aufiero told us she's fine with the personnel changes. "Love it, love it," she said. "I'm ecstatic over Christian Bale. I think it's going to be a great film." The rest of the blurb talks about hopes that the film will be shot locally - which would be awesome. Also mentions that filming could start as soon as July. Good stuff! This one's for the ladies. Felt is doing a Wednesday night promotion (that kicked off last week) featuring $3 specials. 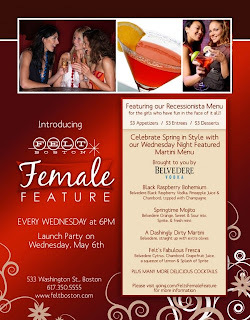 It’s tough out there for the city-chic fashionista—the recession affects even the savviest spending females, which is why Felt Club Boston has created Felt’s Female Feature, an after-work destination for city women who deserve a fun time on low funds. It's time to come out of hibernation ladies & FELT has planned the perfect opportunity to do just that! The event starts each Wednesday at 6pm. Not sure how late it lasts each night. It's funny, I've just been reading a lot about Aldi (a German grocery store chain) in this book I'm reading about private label strategies (yup I'm a nerd) and I stumbled upon an article saying than an Aldi has opened up in Raynham. “I’m a brand-name person,” she said, wondering if the private label products would appeal to her. She had a chance to sample the products Friday during the open house. The store is smaller than a traditional supermarket, has limited offerings and hours. There are 10 employees at the new location. But, it offers lower prices, something that consumers are seeking in the down economy. 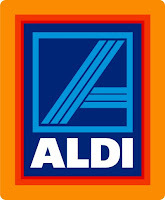 For those of you that haven't heard of Aldi, you may have heard of one of the other grocery chains that they own - Trader Joe's (yup, I learned that from my book). So if you live in the Raynham area, don't be afraid to check it out. 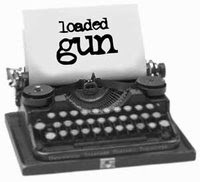 Besides Boston folk have been flocking to European private labelers lately anyway - Ikea, Zara, and H&M just to name a few - we're just adding one more to the mix. Oh and here's another interesting perspective on the term 'private label' vs 'brand name.' Victoria's Secret is technically a 'private label' owned by The Limited.